Last week the Government Accountability Office (GAO), the investigative unit of Congress, released a report indicating that the Pentagon has been calling up reserve soldiers who are ill or medically unfit to serve. The reservists are serving primarily in Iraq and Afghanistan. Although the Office of the Under Secretary of Defense for Personnel and Readiness is responsible for managing medical and physical fitness policy and procedures, the report determined that this office has no way to determine if reserve soldiers are fit to serve or have pre-existing medical conditions prior to deployment. The number of new recruits who scored at the bottom of the Army's aptitude test tripled last month, Pentagon officials said, helping the nation's largest armed service meet its October recruiting goal but raising concerns about the quality of the force. 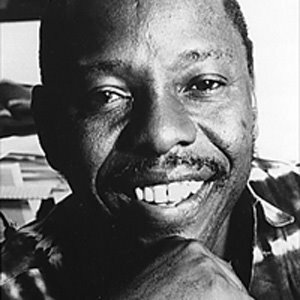 Andy Rowell, AlterNet: Is Nigeria The Next Persian Gulf? Bush, who appeared almost playful, fastened the heavy medal around Muhammad Ali's neck and whispered something in the heavyweight champion's ear. Then, as if to say "bring it on," the president put up his dukes in a mock challenge. Ali, 63, who has Parkinson's disease and moves slowly, looked the president in the eye -- and, finger to head, did the "crazy" twirl for a couple of seconds. The room of about 200, including Cabinet secretaries, tittered with laughter. Ali, who was then escorted back to his chair, made the twirl again while sitting down. And the president looked visibly taken aback, laughing nervously. Was Ali making a political statement? In his remarks about the fighter, Bush mentioned the Olympic gold medal, the grit, "the Ali shuffle, the lightning jabs . . . the sheer guts and determination he brought to every fight." He did not mention Ali's very public opposition to the Vietnam War, which led the prizefighter to lose his boxing license for three years when he refused to serve in the Army. President George W. Bush and the current administration have now borrowed more money from foreign governments and banks than the previous 42 U.S. presidents combined. Throughout the first 224 years (1776-2000) of our nation’s history, 42 U.S. presidents borrowed a combined $1.01 trillion from foreign governments and financial institutions according to the U.S. Treasury Department. In the past four years alone (2001-2005), the Bush Administration has borrowed a staggering $1.05 trillion. The rebellion of a lost generation by Doug Ireland. Al-Qaeda in Iraq carried out the triple bomb attack which killed at least 57 people in Jordan's capital Amman. 40 dead in Iraq suicide bombings. Abramoff sought $9 Million to set up bu$h meeting for African president. Boston Globe - The United States has cut off nearly all contact with the Syrian government as the Bush administration steps up a campaign to weaken and isolate President Bashar al-Assad's regime, according to US and Syrian officials. NYT Editorial - After President Bush's disastrous visit to Latin America, it's unnerving to realize that his presidency still has more than three years to run. An administration with no agenda and no competence would be hard enough to live with on the domestic front. But the rest of the world simply can't afford an American government this bad for that long. The new flat track Alamo City Rollergirls will skate an exhibition bout this Sunday, November 13th. At the Rollercade - 223 Recoleta, San Antonio, Tx. Doors open at 6:30pm, bout at 7pm. Please visit the Alamo City Rollergirls website for mor info. 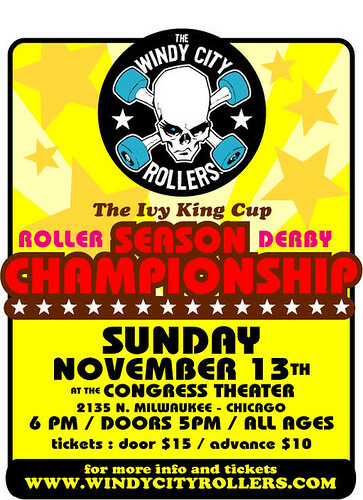 The flat track Windy City Rollers skate their Championship Bout this Sunday, November 13th. The Fury takes on the Double Crossers in the title bout. The undercard features the Hell's Belles vs. the Manic Attackers. Congress Theatre, 2135 N. Milwaukee Ave., Chicago. Tickets are $10 in advanve, $15 at the door. Doors open at 5pm, bout at 6pm. Please visit the Windy City Rollers website for more info. 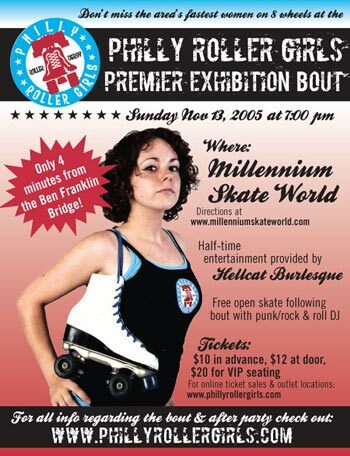 The flat track Philly Roller Girls have their first exhibition bout this Sunday, November 13th. Millenium Skate World - 1900 Carman St, Camden, NJ. Please visit the Philly Roller Girls website for more info. Hell on wheels article on the Penn Jersey She Devils. No Coast Derby Girls in the Daily Nebraskan. The Atlanta Rollergirls on Atlants's PBS station. An estimated 3,000 people arrived in downtown Austin on Saturday to demonstrate against the Texas chapter of the American White Knights of the Ku Klux Klan, which held a rally in front of City Hall to voice support for Proposition 2. Seven members of the Klan and five supporters of their message rallied in front of the City Hall public plaza from 1 p.m. to about 1:45 p.m. 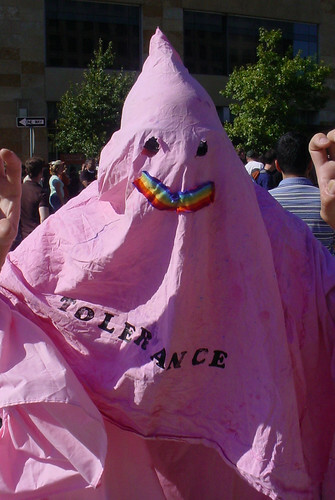 The group's leader, Steven Edwards, the grand dragon of the Texas American White Knights of the Ku Klux Klan, delivered a message of what he called "pro-American Christian values." 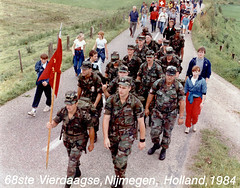 About 200 police officers were on duty for the event, some wearing riot gear and clutching batons and rubber-bullet rifles. While some protesters screamed obscenities, most remained peaceful, and only two arrests were made on Saturday. One man was arrested for carrying a club and causing a disturbance and another was arrested for having outstanding warrants, said Toni Chovanetz, Austin Police Department public information officer. 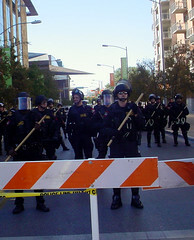 Several city blocks in front of City Hall were blocked off by Austin police, including Cesar Chavez Street from Guadalupe Street to Colorado Street, and the South First Street bridge, effectively preventing anyone but members of the media from getting close to the Klan members. The human rights activist group Texas Civil Rights Project plans to file a federal lawsuit against the city of Austin on Monday. 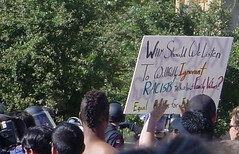 They claim members of certain media outlets, as well as the demonstrators opposed to the Klan, were denied access to the rally, according to President Jim Harrington. 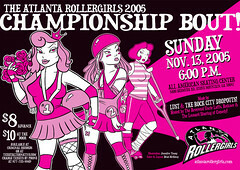 The flat track Atlanta Rollergirls skate their Championship Bout this Sunday, November 13th. All American Skating Center - Stone Mountain, GA.
Tickets are $8 in advance, $10 at the door. Doors open at 6pm, bout at 7pm. 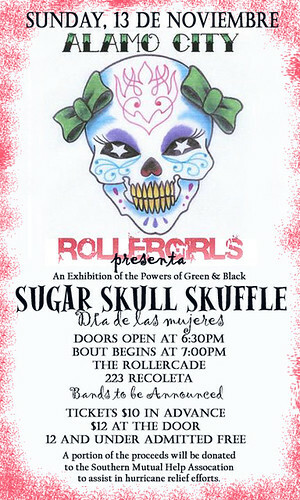 Visit the Atlanta Rollergirls website for more info. The banked track L.A. Derby Dolls will skate at the 10th Annual No Love Party in Long Beach. The event takes place from Noon to 5:00pm at the West Coast Choppers Headquarters, 718 Anaheim Street in Long Beach. The event is free to the public, with a $10 optional donation at the door – all proceeds to benefit Youth Programs for Long Beach's Drake Park & the Greenbelt ParkDevelopment Project. The event will feature the live bands, Lucha Libre Mexicana Wrestling, a car & motorcycle display/show, an exclusive showing of Monster Garage vehicles, and the L.A. Derby Dolls skating a banked track roller derby bout! The bout starts at 2:30pm and will feature 2 all-star (all-scar) teams battling it out. An attendance in excess of 15,000 guests is anticipated at the event throughout the day.